According to another recent investigation, mutations in a second regulatory gene, aflJ (see above), may also be responsible, in part, for non-expression of afl genes in A. sojae. In A.parasiticus, aflJ gene product, AflJ, upregulates synthesis of aflatoxin. Mutations in aflJ decreased transcription of both afl structural genes and aflatoxin synthesis, although alfR expression was not affected (Chang, 2003).Thus, it appears that AflJ is a co-activator that interacts with AflR to activate gene transcription. However, analogous to the aflR situation, the aflJ gene in A. sojae is defective, owing to two amino acid substitutions that reduce this interaction and reduce transcription of afl genes (Chang, 2004). Aspergillus sojae inhibits aflatoxin biosynthesis.Appl. Microbiol. Biotechnol. 55:585-589. Matsushima, K., K.Yashiro,Y Hanya, K.Abe, K.Yabe, and T. Hamasaki. 2001B.Absence of aflatoxin biosynthesis in koji mold (Aspergillus sojae).Appl. Microbiol. Biotechnol. 55:771-776. Takahashi,T., P.-K. Chang, K. Matsushima,J.Yu, K.Abe, D. Bhatnagar,T.E. Cleveland, and Y. Koyama. 2002. Non-functionality of Aspergillus sojae aflR in a strain of Aspergillus parasiticus with a disrupted aflR gene. Appl. Environ. Microbiol. 68:3737-3743. Watson,A.J., L.J. Fuller, D.J. Jeenes, and D.A.Archer. 1999. Homologs of aflatoxin biosynthesis genes and sequences of aflR in Aspergillus oryzae and Aspergillus sojae.Appl. Environ. Microbiol. 65:307-310. Yu, J., D. Bhatnagar,T.E. Cleveland. 2004A. Completed sequence of aflatoxin pathway gene cluster in Aspergillus parasiticus. FEBS Lett. 564:126-130. Yu,J., P.-K. Chang, K.C. Ehrlich,J.W. Cary, D. Bhatnagar,T.E. Cleveland, G.A. Payne,J.E. Linz, C.PWoloshuk, and J.W. Bennett. 2004B. Clustered pathway genes in aflatoxin biosynthesis. Appl. Environ. Microbiol. 70:1253-1262. Yu,J., C.PWoloshuk, D. Bhatnagar, and T.E. Cleveland. 2000. 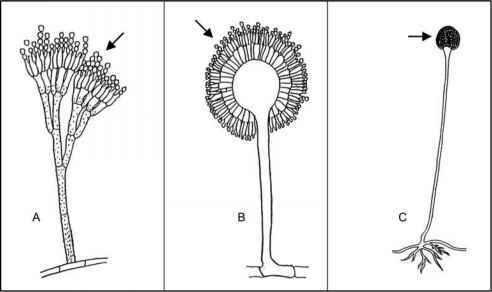 Cloning and characterization of avfA and omtB genes involved in aflatoxin biosynthesis in three Aspergillus species. Gene 248:157-167.
cancers, including gastric cancer and esophageal cancer. Indeed, although some cancer rates are higher in China, Japan, and other Far East countries, the evidence suggests that dietary habits other than consumption of fungal-fermented foods may be more likely to be responsible. For example, the Asian diet is high in salt, which may predispose individuals to these cancers. In specific provinces in China, where cancer rates are especially high, consumption of vegetables is very low. have been promoted for contributing many health benefits, including reduced rates of coronary heart disease and mortality due to heart disease. Soy beans contain several flavones, isoflavones, flavanols, and other flavonoids that may have anticarcinogenic activity and whose consumption may lower the risk of certain cancers, including breast cancer and prostate cancer. Although not all of these substances are present in fermented soy products, several specific compounds have been shown to have anticancer activity. For example, the flavor fura-nones HEMF and HMF (discussed previously) that are found in soy sauce inhibit carcinogene-sis in laboratory animals.